So my daughter surprised me today with the most awesome clay sculpture she has made to date. 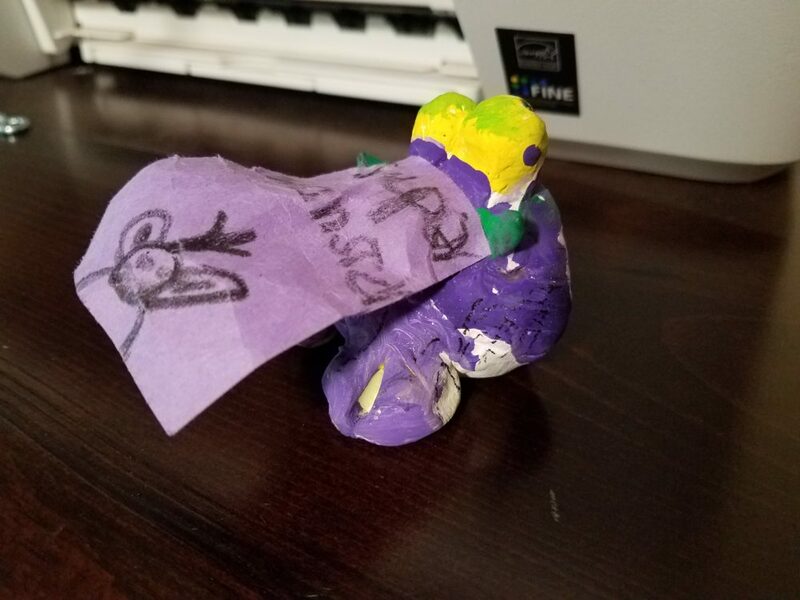 My daughter, who is 8, made this creature in art class at school. I immediately burst into laughter with her as we both realize the silliness of her imagination. I love him, I tell her, I truly love him. So, take a look at this beauty with his super fantastic sticky-note cape! Have you ever received a gift from your child with a silly story attached? If so, I would love to hear about them in the comments below!